These days, nobody has the guts to do a basic, you-could-design-it-with-a-ruler car. Every car, even the lowliest Kia, has to have flame surfacing or retro touches, thanks to Chris “Bungle” Bangle and Freeman Thomas, designer of the old New Beetle and the Audi TT. But back in the mid-1960s, Renault brought out the very modern, very simply boxy R10. With its long front and rear overhangs, and narrow doors inherited from the R8, it was no thing of beauty, but it does stick out today for being an oddball that once held its own against the retro-before-it-was-cool VW Beetle. 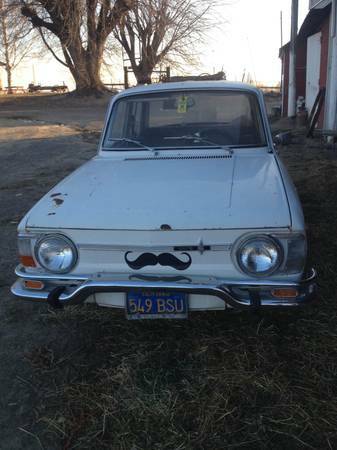 Check out this 1970 Renault R10 for sale in central Washington state for $3100. Does anyone out there like the way these look? Perhaps a less refrigerator-like color would do the shape some good – a quick search shows a dark burgundy or one of the 1960s pale metallics works well, and lowering over some period sports wheels looks pretty cool too. Although part of the joy with these cars is driving on skinny tires, so a color change might be where it is. This car is said to have some rust on the frunk lid, but to be in otherwise good condition. Speaking of the frunk, how much can you get in there? It looks like it should be huge. Somehow the moustache is just right for this car – is there a way to make a giant Gauloise dangle from the “mouth”? It’s interesting to see the California blue plate on the front, which suggests the car should be as solid as it looks. It’s said to run great, and have a new brake system, and all records back to 1970 – a fun bit of post-purchase reading. The seller also says it has a nice leather interior, although on a car of this level, leather would be surprising, much less in good condition. No rear blue plate – perhaps the seller still has it together with all the other records. 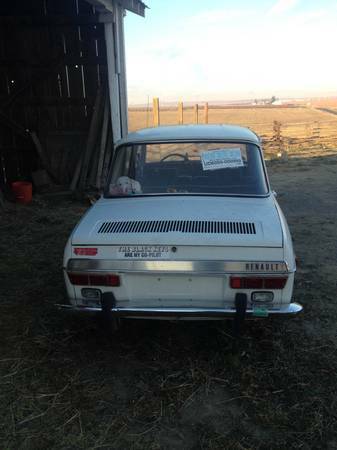 While the price is a little on the high side, it’s rare to find a seemingly well-kept, well-running R10 among the survivors, most of which are projects. 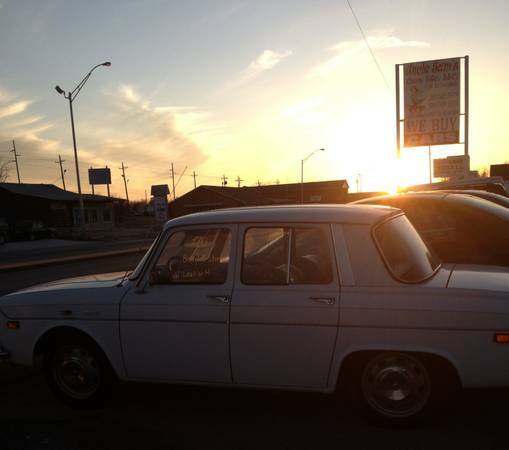 Perhaps the approach is to do the Cal-look on it and show up at air cooled VW shows, and watch confusion ensue. This entry was posted on January 2, 2014 at 4:10 pm and is filed under Feature. You can follow any responses to this entry through the RSS 2.0 feed. You can leave a response, or trackback from your own site. You still have the greatest posts!You manage to make even the lowliest of the low seem charming….. Saved as a favorite, ӏ really like your blog!